When Forbes Magazine published the article "Top Executive Recruiters Agree There Are Only Three True Job Interview Questions", I had engaging dialogues with colleagues and clients in the writing consulting industry about the topic. The first two questions (Can you do the job? Will you love the job?) relate to intrapersonal skills, how you deal with yourself; the third question (Can we tolerate working you?) relates to interpersonal skills, how you deal with others. Since interviewees may answer preemptively yes, yes, and yes to these three terribly open-ended questions, recruiters have many indirect ways of asking them to yield specific responses and gain real insights into the job candidate. For the first they might ask, How long have you been in this industry? What projects have you completed? With whom have you collaborated? How did the project turn out? For the second they might ask, Have you done work at home? 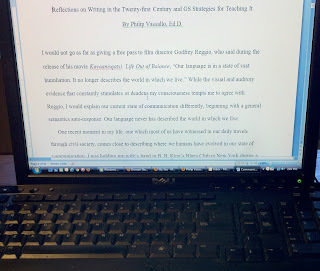 How do you describe your work to your friends and family? Has your formal education prepared you for this work? What connections do you see with your life and your work? And for the third they might ask, Why did you leave your last job? What were your teammates and managers like? Do you stay in touch with any of your former coworkers? What do you miss about your previous job? Undoubtedly, these three questions are terrific for opening the door to real conversations and getting to the bottom of what makes a candidate tick. That's exactly why I believe a fourth question can reinforce the other three and effectively close the door to the interview. That fourth question is Can you live with yourself by working with us? I speak not only for myself but for hundreds of others who have talked to me about their work experiences. Many of them have said they want more from life. Sure, they can do the job. Sure, they love what they do. Sure, they love the people. But do they feel fulfilled on the job? Do they see themselves as contributors not only to the business but to the greater good? Do they go to bed at night saying, "What a great day of accomplishments! I love my life. I can't wait until tomorrow to do more of the same." 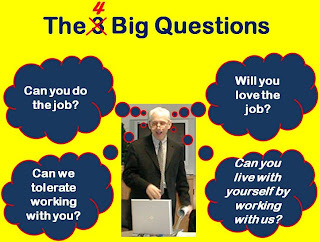 Now, some interviewers might say that answering the second question, Will you love the job?, is sufficient to gain insight into my proposed fourth question. I disagree. Many people have told me they love their job but long to do something more important, something that they have to find outside of work because it doesn't exist at their job. In other words, they would answer yes to all three questions but no to my fourth one. Those first three questions provide great insights into short-term matters; the fourth question lifts a window of understanding into long-term, career-related issues. Will you love the job? is a question of passion, but Can you live with yourself by working with us? is a question of commitment. Passion can be short-lived, but not commitment. As I have helped many people with their resumes and cover letters throughout the past 35 years, I have insisted that they show more than accomplishment. They must show commitment. Employers are short-sighted if they aren't looking for the same. Internet Public Library - This site is must if you are looking for information on a vast array of subjects, including arts and humanities; business and economics; education; law, government and politics; and a host of other topics. You'll find the reference section especially helpful. Library of Congress - The ultimate institution dedicated to cultivating the knowledge of people worldwide, the Library of Congress makes available online an endless collection of digital articles, many of them otherwise rare. Check out its Global Gateway to connect to materials beyond the USA. The print and photograph catalog is quite a treat for capturing a writer's imagination. For instance, the Ansel Adams photographs of Japanese-American internment in California during World War II. MIT Writing Courses - The Massachusetts Institute of Technology offers free writing courses through its OpenCourseWare program. For starters, download and study the materials of Communicating in Technical Organizations or Communicating in Cyberspace. If you don't find what you're looking for, you can always browse the writers' websites WORDS ON THE LINE has collected over the past eight years. English poet Stephen Spender described the writing process of his fellow poets as of the Mozartian (planners) or Beethovian (discoverers) mode, meaning that Mozartians tend to create a path or structure for what they will draft, while Beethovians figure out the path during drafting, as they go along. 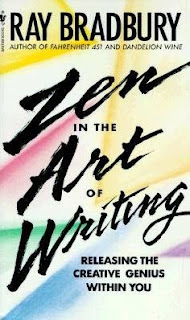 Reading “Zen in the Art of Writing” reveals that Ray Bradbury possessed a healthy balance of both approaches. 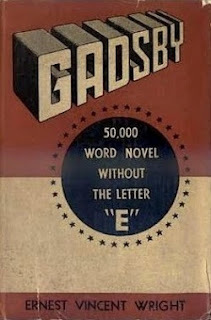 Like a Mozartian, he was constantly searching for connections between his experiences and writing; like a Beethovian, he drafted relentlessly as evidenced by his prolific output of short stories, novels, plays, screenplays, teleplays, and juvenilia over a career spanning more than seventy years. When one of the most influential writers of the twentieth century speaks about himself and his work, aspiring writers or curious readers should pay attention. If they do, they will be able to dip into Zen in the Art of Writing for many points of inspiration.